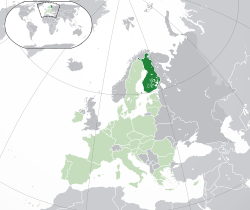 ^ 1.0 1.1 Hlbtiq-historiaa Suomessa. seta.fi. [2017-01-12] （芬兰语）. ^ President signs gender-neutral marriage law. 芬兰广播公司. 2015-02-20 [2017-01-12] （英语）. ^ Citizens' initiative for two-mom couples gathers 50,000 signatures. Yle. 2016-05-13 [2017-03-05] （芬兰语）. ^ Homot pääsevät luovuttamaan verta. 赫尔辛基日报. 2013-12-11 [2017-01-12] （芬兰语）.